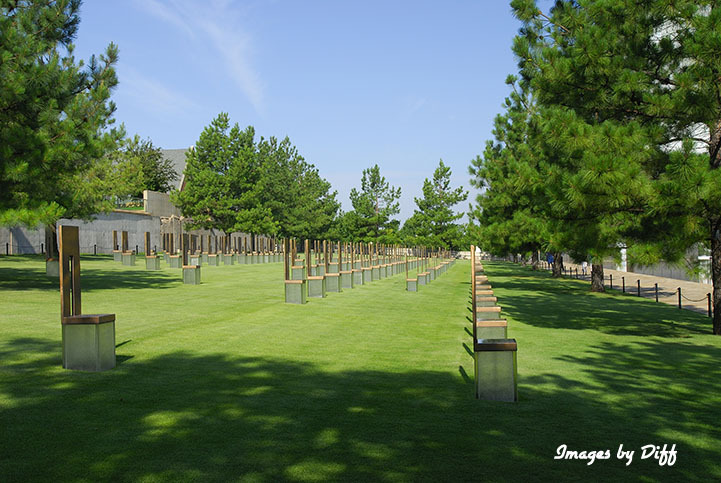 click photo to enlarge The Oklahoma National Memorial is a very moving experience. Everything at the Memorial has a meaning or symbolism. 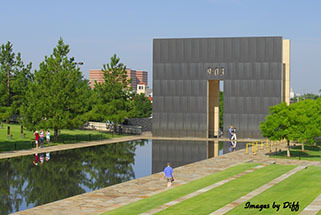 The reflecting pool has a gate at each end, one that says 9:01 and the other 9:03. 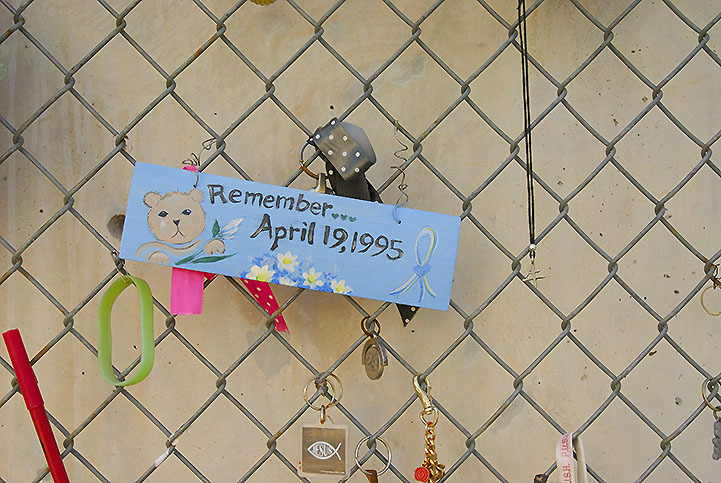 The East Gate represents 9:01 and the innocence of the city. 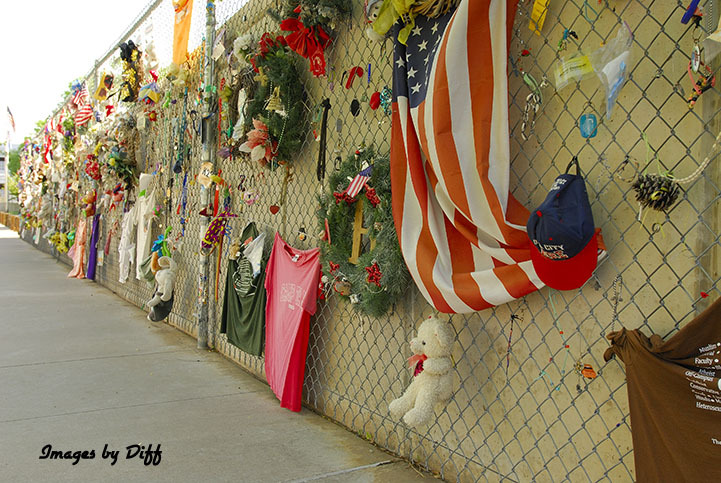 The West Gate, 9:03, represents the moment we were all changed forever by the horror of what had happened. 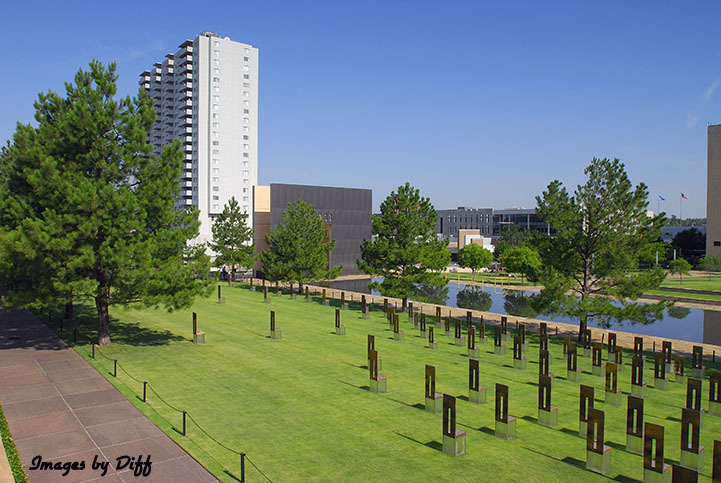 click photo to enlarge The field of 168 empty chairs represent the lives taken that day. 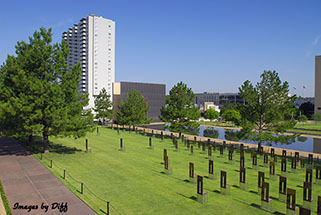 They are arranged in 9 rows for each floor of the building and each chair has the name of a person killed on that floor. click photo to enlarge A fence erected to protect the area after the bombing immediately became a place that people left tokens to remember loved ones. 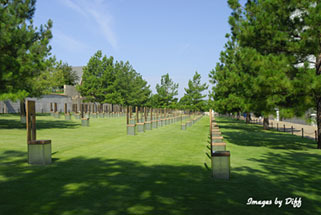 Today people still leave tokens of remembrance. The museum collects and preservers them in their archives. They have over 60,000 pieces in their archives.